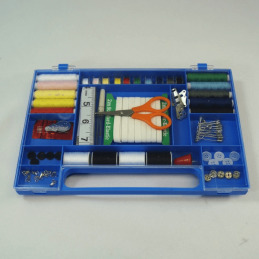 Whether you are a beginner to sewing or a sewer with many years of experience, some of the following pieces of equipment will no doubt find their way into your work box. Sewing Essentials There are 4 products. Using the correct pin or needle for your work is so important, as the wrong choice can damage fabric or leave small holes. Needles are made from steel and pins from steel or occasionally brass. Look after them by keeping pins in a pin cushion and needles in a needle case - if kept together in a small container they could become scratched and blunt. 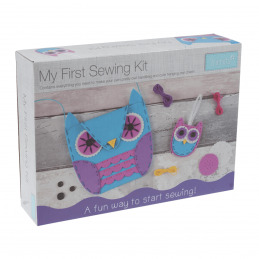 A kit with everything you need to sew your own owl handbag and charm. Contents: pre-cut foam pieces; 4 buttons; coordinating threads; ribbon; cord; a plastic safety needle; instructions. Not suitable for children uner 36 months old.